Above anything else she is a storyteller. Daralyse Lyons talks with Greg about her love for creating alternative realities, how you can escape reality and find deeper truths at the same time, her personal narrative and its evolution, her Emotional Yoga technique, her bi-racial identity, her thoughts on Philly, and so much more. Daralyse Lyons (Author/Speaker/Coach/Yogi/Actress) was last updated by Greg Holdsman on November 7, 2018 . Bookmark the permalink. Founder of Kismet, GreatPHL, and www.movetophilly.com ,Christopher Plant talks with Greg about the growth and value of coworking, the daylong GreatPHL18 event series taking place on November 15th, his life experiences that have propelled him to creativity and innovation, and his thoughts on what in Philly should be celebrated and what should be revised. 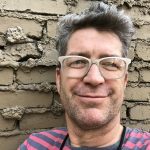 Christopher Plant (Founder of Kismet Cowork) was last updated by Greg Holdsman on November 6, 2018 . Bookmark the permalink. Sketch and stand-up comedian Kyle Harris talks with Greg about discovering his humor growing up in Boston, why he feels most creative in the shower, his hate for Facebook, the whitest things he’s ever heard, and much more. 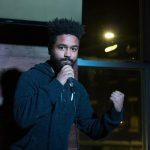 Kyle Harris (Comedian)- Philly Famous “Plug It” Edition was last updated by Greg Holdsman on August 20, 2018 . Bookmark the permalink. He’s an expert in mental toughness, confidence, and self-discipline. 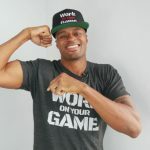 Content producer extraordinaire and former professional basketball player Dre Baldwin, A.K.A “DreAllDay”, talks to about his daily routine, what separates him from other motivational content creators, what happiness means to him, and much more. Dre Baldwin A.K.A “DreAllDay” (YouTuber/Author/Podcaster) was last updated by Greg Holdsman on July 29, 2018 . Bookmark the permalink.